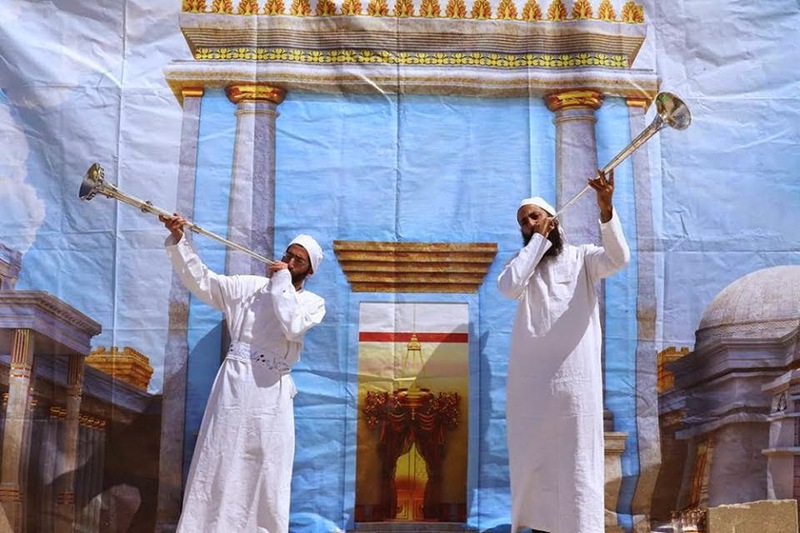 (THE TEMPLE INSTITUTE)—In preparation for the upcoming festival of Passover, this past Wednesday (5 Nisan - 25 March) the 'Priestly Training Academy' established by the Temple Institute held a Passover offering practice drill that was documented by professional photographers. This was the most accurate and authentic reenactment of this service to have taken place in nearly 2,000 years. The Kohanim who participated in this drill, all true descendants of Aaron, all wore authentic Priestly garments and recited the appropriate 'blessings' ( in practice mode) which applied to each stage of the commandment's fulfillment. The event was accompanied by blasts from silver trumpets, and the song of the Levitical choir.